The Best feature released by iOS 12 is screen time. The latest iOS version has this setting that can allow you to see your device usage. This feature can tell you what apps are used most by you every day. It can also divide this into the category of apps like games, social networking, etc. How To Open Screen Time? 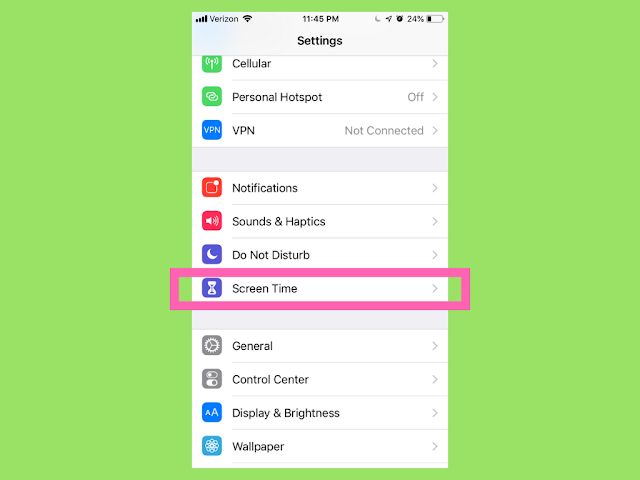 Screen time can be easily accessed in iOS Settings. See the blow image. App Limits is the key feature that I adored in Screen Time. This is a long-awaited feature for parental control on devices. The app limits feature can restrict the time you can spend on an app. I like this feature for devices that my kids are using. I can easily set a daily time limit for gaming apps to ensure kids do not keep playing games indefinitely. 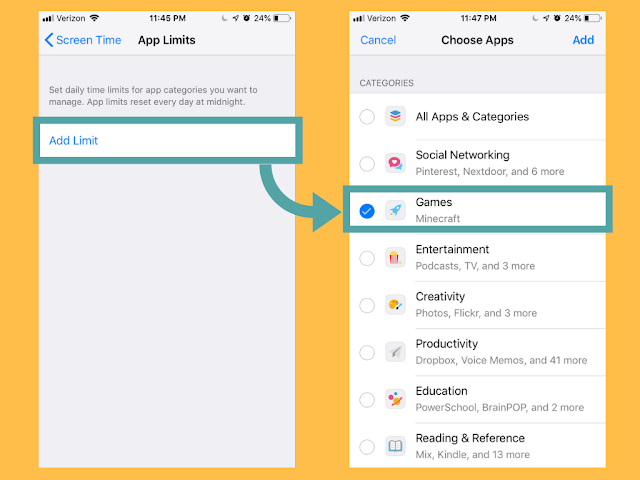 How To Setup Parental Control Using Screen Time? 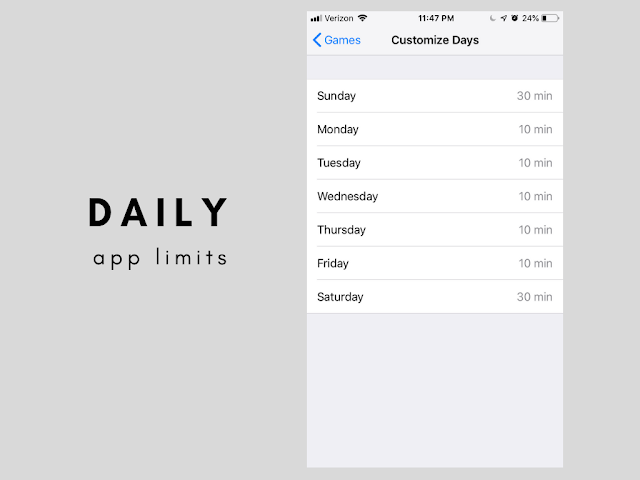 You can use the daily time limit feature to control usage of each app on your device. This can be protected by a password that can enforce these restrictions. I prefer to keep 10 minutes for gaming apps on weekdays and 30 minutes on weekends. You can experiment with your own time limits and work out a good working plan with your kids. This feature can help you schedule your own usage or anyone else's usage from selected apps. You can hand pick some apps that can be accessed in the downtime. This can easily restrict your device to be used for urgent matters. The screen graphs are displayed for visually analyzing your usage of various apps on the iOs devices. You can see your usage pattern for last 24 hours or last 7 days. 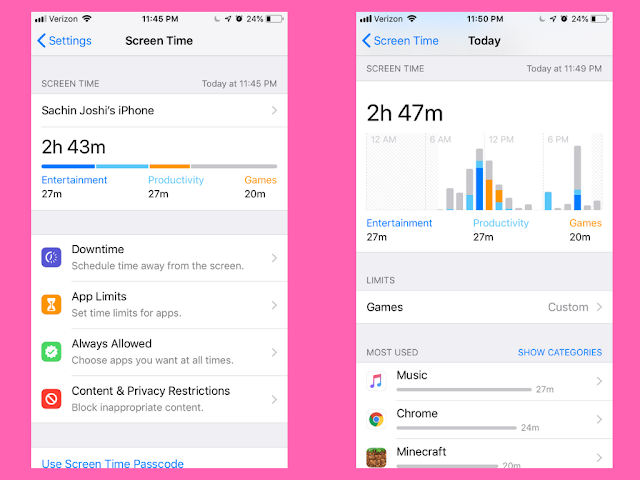 Just like any other information sharing feature on iOS devices, screen time data can also be synced across all your devices. You can see all your iOS devices data at one place. Interested in More iOS Features? I hope you like the new iOS feature. I had to spend some money on third-party apps for parental control that did not do a good job of parental control and adversely impacted my phone performance. What is your favorite feature in iOS 12?